Hutchinson is my early bet to end up finishing the class as the top ranked player in the state of Michigan for 2018. 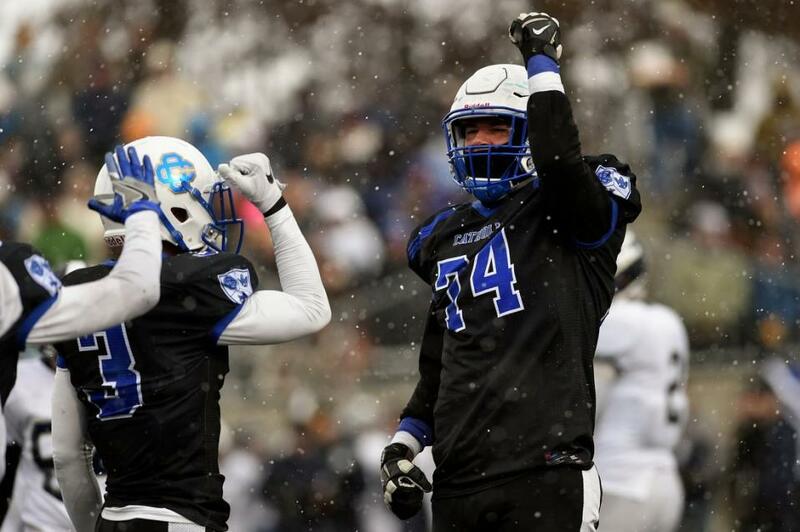 At 6’5”, his length and athleticism makes him a dominant force at the high school level. But it’s his motor and tenacity that stands out the most. He looks like a great fit for Brown’s defense and Mattison’s defensive line. And it looks very likely they’ll get to chance to coach him as he looks to be one of the safest bets in this class as he’s another legacy recruit (son of former UM standout Chris Hutchinson). As soon as the staff flipped the 2017 switch off and fully flipped the 2018 switch on, Sims was a priority. But, as a top recruit out of the heart of SEC country, most figured he’d end up staying down south. With the SEC powers, like Alabama, Auburn, and Georgia extending offers, as well as national brand names, like USC, Ohio State, Texas and Stanford throwing their hat in the ring, this was going to take another Nico Collins-like recruiting pitch to win out. 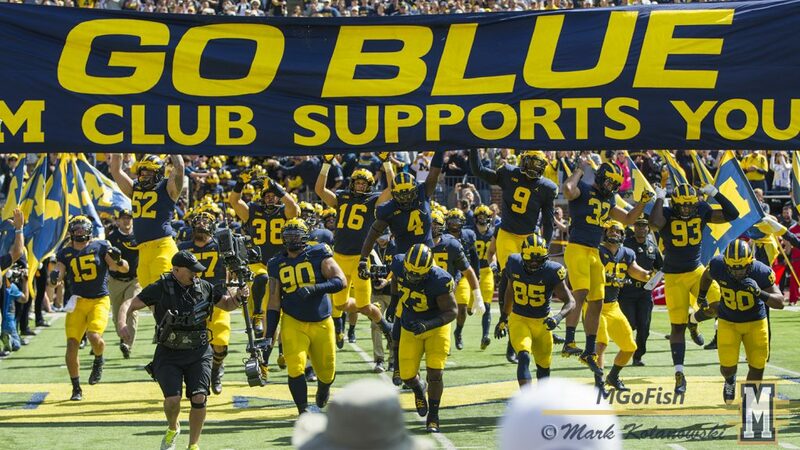 And, whataya know, Harbaugh and his staff did just that. 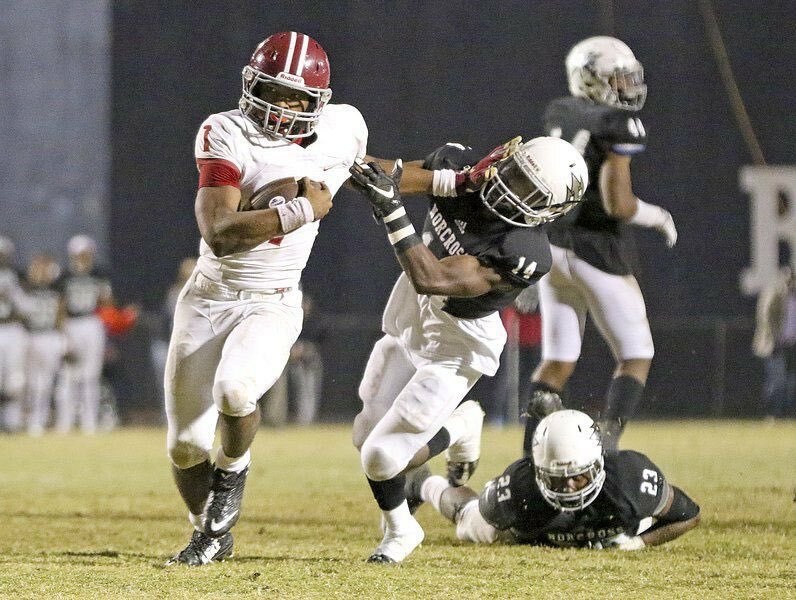 Turner is a talented back that’s starting to rise up the rankings. Though he’s not exactly a burner, he makes up for it in vision, patience, balance and the ability to put his foot in the ground and go. His highlight tapes are filled with strong run after strong run. Setting up blocks and breaking tackles to turn simple runs into big time gains. He’s a guy who should only continue to get better as he matures. Once he gets into a college program, he should become valuable member to the running back rotation. 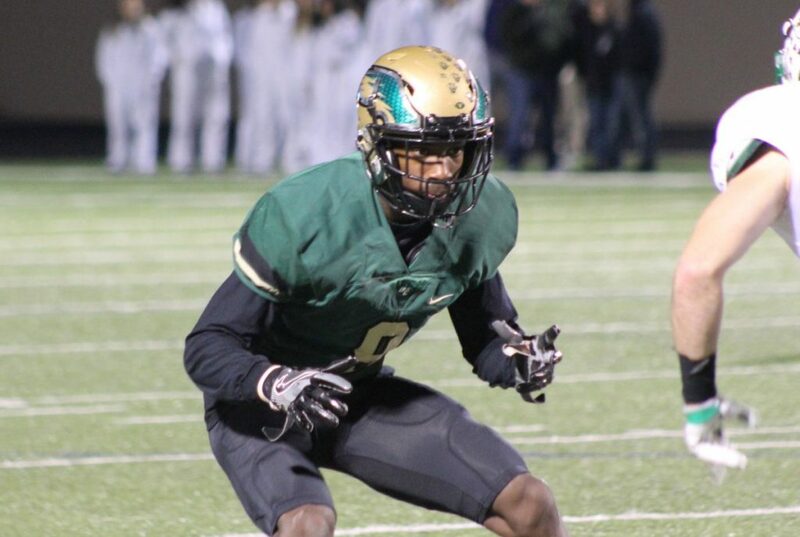 Green is one of the most intriguing defensive back prospects in this class. 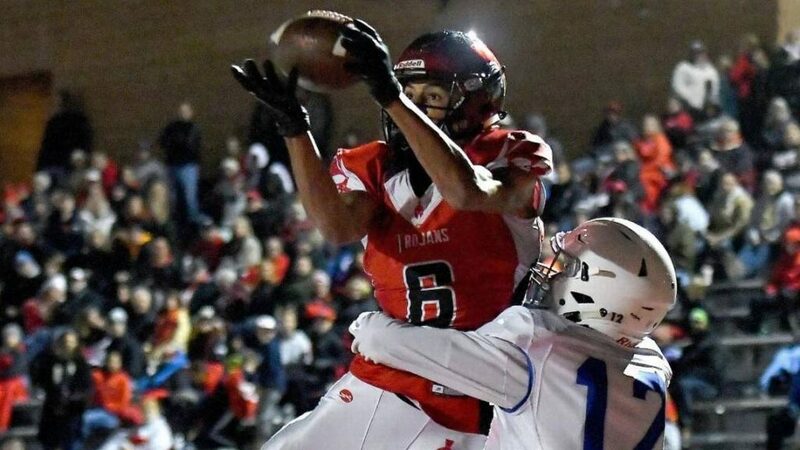 At a legit 6’2”, he has the size and length that every defensive backs coach is looking for, while also having the athleticism and fluid change of direction that could make him a tough match up for both receivers and tight ends. With a little more grooming and time in the weight room, he could be a very nice addition to the Wolverines secondary. While Gemon is more of a pure cornerback, German is a little thicker and more of a safety prospect at the next level. He’s a bit raw, like most defensive backs, but he has all of the natural talents that a coaching staff would love to work with. 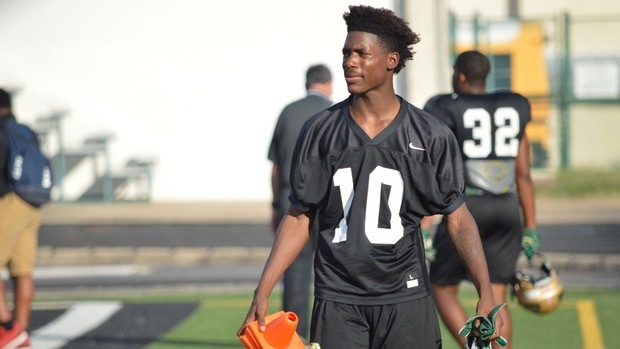 A move to free safety in college along with more time in both the DB room and the weight room should give him a chance to be a very nice player for the Wolverines. 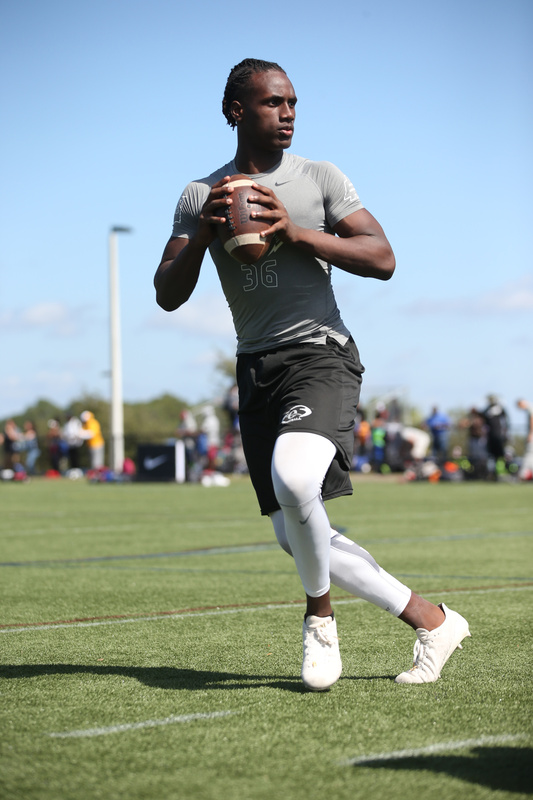 Hard not to see a little Robert Griffin III in Milton thanks to his size, athleticism and arm strength. Though he’s bigger than RGIII, like the Heisman winner, he’s a throw-first quarterback that can make every throw and burn you with his escapability when plays break down. His arm looks to be one of the biggest in the class but he struggles a bit with knowing when to take some off of the ball on shorter routes and when to put more air on the ball on deeper routes. With time to develop, he could be a superstar in Ann Arbor whenever his number is called. 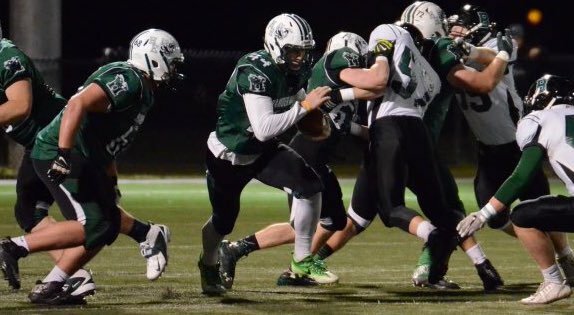 Mayfield burst onto the recruiting scene this spring. And it was for good reason. 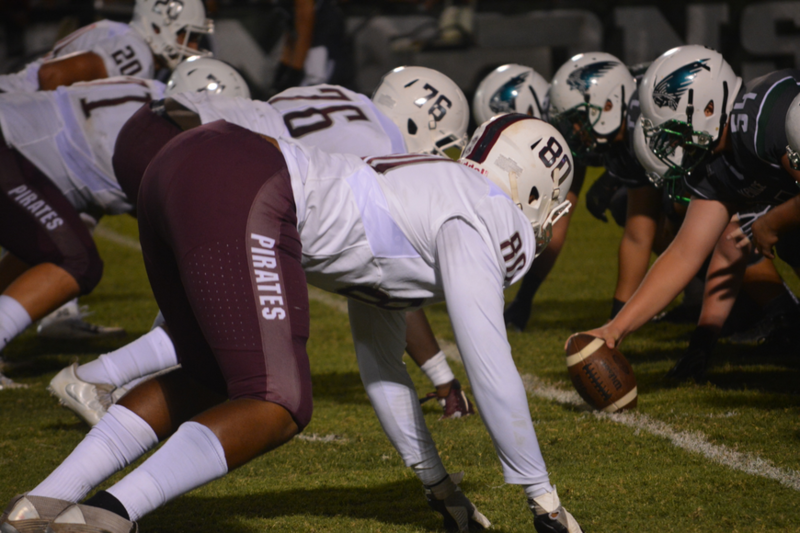 Though he’s still obviously underweight for an offensive tackle, the high school basketball player’s length, athleticism and tenacity stands out when you watch his tape. 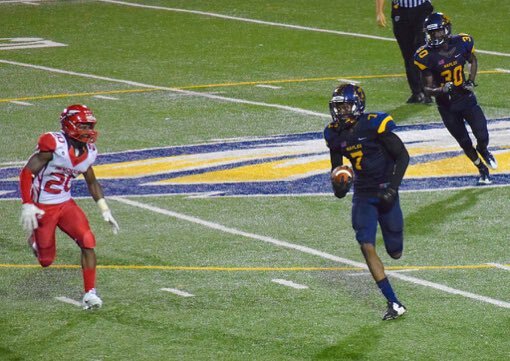 With the natural skills and length there, time in the weight room and cafeteria should give him a chance to be a really nice player for the Wolverines. Hayes, like fellow commit OT Jalen Mayfield, is one of the most athletic tackle prospects in this class. But, like Mayfield, he’s a definite project. His length and athleticism shows off what he could be as he sees a lot of time at tight end at the high school level. And that’s where me may see the start of his collegiate career. He could be a legit blocking tight end/6th lineman as he puts more mass on in the cafeteria and weight room. Once he fills out, his ceiling is through the roof. 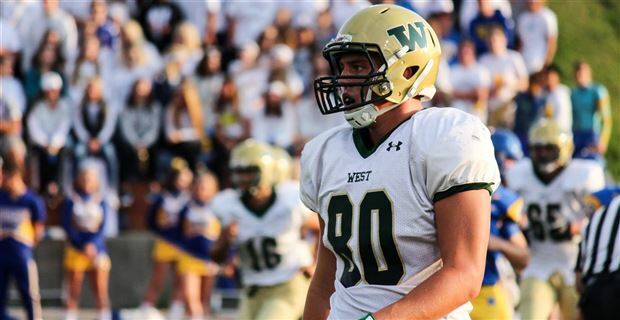 His high school coach told TMI’s Sam Webb that Hayes is a “carbon copy” of current Cincinnati Bengals tackle, former Oregon and TC West tackle, and former Michigan commit, Jake Fisher ($). But his starting position in Ann Arbor is expected to be at tight end until he adds the weight needed. Though there isn’t much tape on the latest commitment, in the limited footage that is available, Schoonmaker shows off his athleticism, size and natural talent throughout. Most of his tape is at quarterback, which he isn’t too bad of a prospect. But his tight end tape and combine camp tape is impressive. He has higher end speed for a tight end, good agility and good hands. His game reminds me of a bit of 2018 recruit and Miami commit, Will Mallory. At times, linebackers from the north get branded as a little less athletic than linebackers from the south. But McGrone doesn’t fit that bill as he’s easily one of the more athletic linebackers in this class. And that’s coming off of an ACL tear at the end of his junior season. 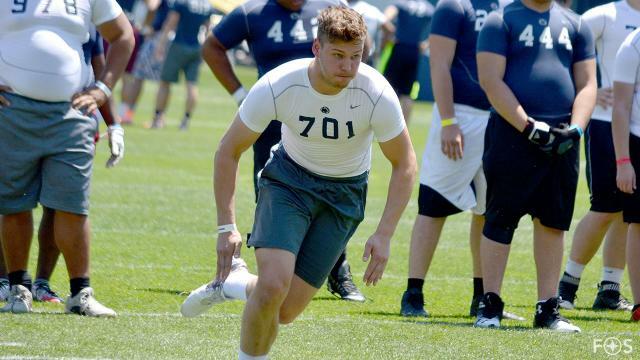 According to 247Sports Kipp Adams and Barton Simmons, he was one of the best linebackers at The Opening ($). Imagine what he’ll look like as a prospect once he’s 1000% healed. With Don Brown’s blitz heavy, aggressive defense, an instinctive, athletic linebacker like McGrone should flourish. Though he’ll have to impress early to jump the other young talent that was recently added to the linebacker room. Faustin is a long, rangy defensive back that shows good speed and the willingness to make any tackle. He could play either cornerback or safety at the collegiate level, though it looks like the staff is targeting him to be a safety. His game reminds me a bit of former UM cornerback, Channing Stribling. 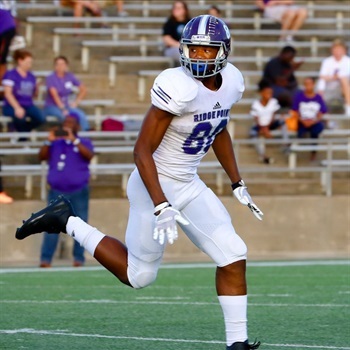 And like Stribling, Faustin will need to put on a little more size to play at the collegiate level (especially at safety) but, once he does, he could become a regular contributor in the secondary and, at the very least, a standout on special teams. It makes sense why Muhammad was a top target for the coaching staff, he’s, arguably, the most complete tight end in this class. His mix of size, athleticism and catching ability makes him a match up nightmare at the high school level. Though he’s not a “burner”, he uses his route running ability and catch radius to dominate safeties and linebackers. With a talented depth chart in front of him, he’ll get time to grow and learn. However, he has the skill set and willingness to block to fight for reps as soon as he steps foot on campus. If you only watch Haskins’ sophomore and junior tape, you can see why he’s a lower rated prospect. Though he flashes signs of being a good prospect in that tape, he still had a ways to go to be a Power 5 prospect. 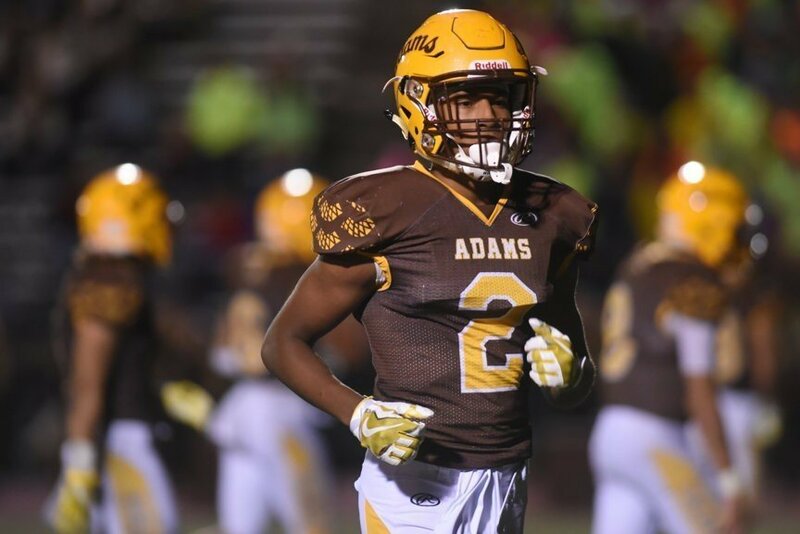 And that improvement looked to happen over the summer as his senior tape shows a much physically mature runner that showcases his agility and size. His frame, raw talent and ability to make cuts on a dime makes him a very intriguing player. Upshaw is another project in this recruiting class but one that the coaching staff was clearly excited to take on. Only playing football for two years, Upshaw has the elite size and length for a defensive lineman (his father is former All-American at Cal and10 year NFL defensive lineman, Regan Upshaw) but still needs plenty of time on the practice field and in the weight room to add the correct size for whichever position he ends up at. It looks like it’ll be at either the five-technique or the three-technique. At either position, with some time, he could be a nice player for the coaching staff given his natural size and athleticism, as well as his NFL genes. It’s pretty hard not to compare him to Johnny Manziel or Baker Mayfield. He’s got a good arm, is very accurate, and can make pretty much every throw. But it’s his ability to create big plays out of nothing that makes everyone bring up the Johnny Football comparisons. He’s a versatile athlete, tough, quicker than fast, can throw on the run, and has the instincts needed for a play making college quarterback. 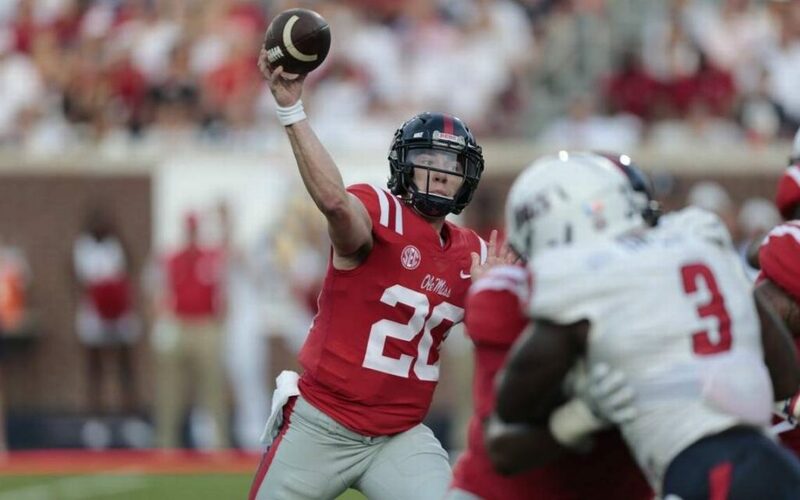 While he hasn’t reached the former Heisman trophy winner’s level yet, he has the natural talent to reach those same individual accomplishments. VanSumeren is a man amongst boys in high school. Throughout his tape you see him running by, running through, and running over both defensive and offensive players as he’s a standout at both tight end/wide receiver and outside linebacker. But will it translate against better competition? It’s the main question with most recruits but with VanSumeren, it’s his size, style and attitude that should fit in just fine as an H-Back in Jim Harbaugh’s offense. Bell is a former basketball recruit (actually was committed to Missouri State) so it’s no shock that he’s a pretty ridiculous athlete. While he’s not a burner, he’s an athletic receiver with a huge vertical, the knack to make circus catches and the agility to pick up a lot of yards after the catch. 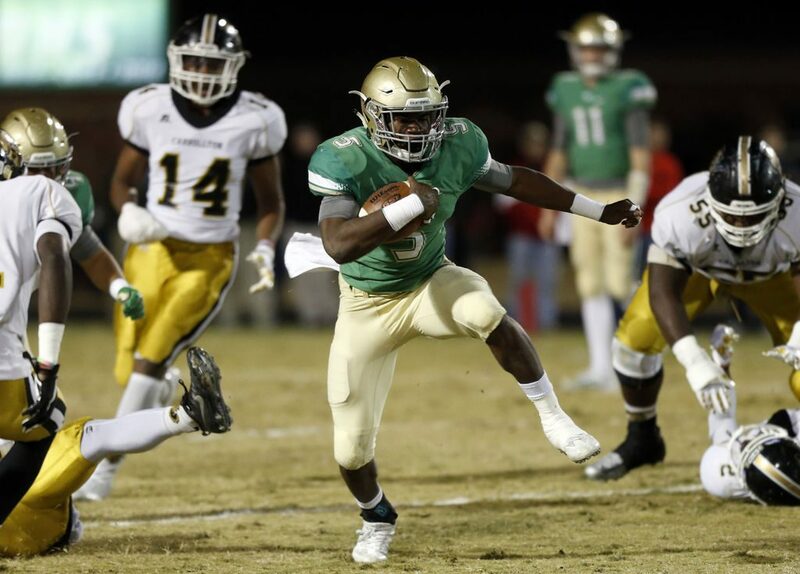 He’s still pretty raw in his route running but that’s understandable as a player that only decided to fully focus on football just two days before making his commitment. Add in his ability and willingness to block and you can see why Harbaugh was a fan of his game. “Juice” is a 6’6”, uber-athletic, former freestyle mogul skier that doesn’t have a ton game tape. But what he does have on tape is him flashing the athleticism that he possess at his size for the Munich Cowboys, at camps and in training sessions. He clocked a 4.73 forty at Ohio State’s camp, has a laser 4.55 forty and showed off his quick twitch, raw strength and flexibility at each stop along his summer tour. But all of the athleticism in the world won’t translate to success on the field at the D-1 level. It’ll likely be a couple years of development, learning and adapting to the speed of the American college game before he makes an impact. Gray is another tall, long armed, athletic defensive back prospect with good coverage skills and a nose for the ball and ball carrier. He looks to have potential at either cornerback or safety thanks to his natural build and willingness to tackle though he fits the look of the majority of this staff’s corner back signees. 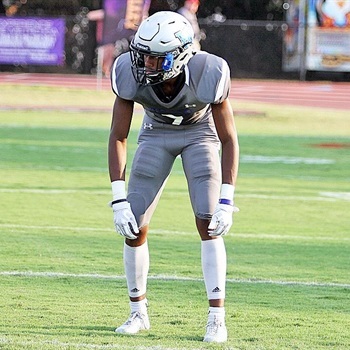 And like the other defensive backs in this class, he’ll need to add a little more size and catch up to the speed of the college game to contribute. However, he has the frame to do so without losing a step. 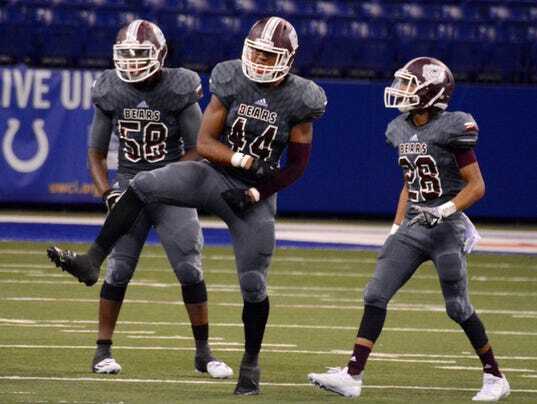 The depth at the position will be tough to overcome for him but if he puts on the right size and makes an impact on the practice field, he could be fighting for playing time by his sophomore season. 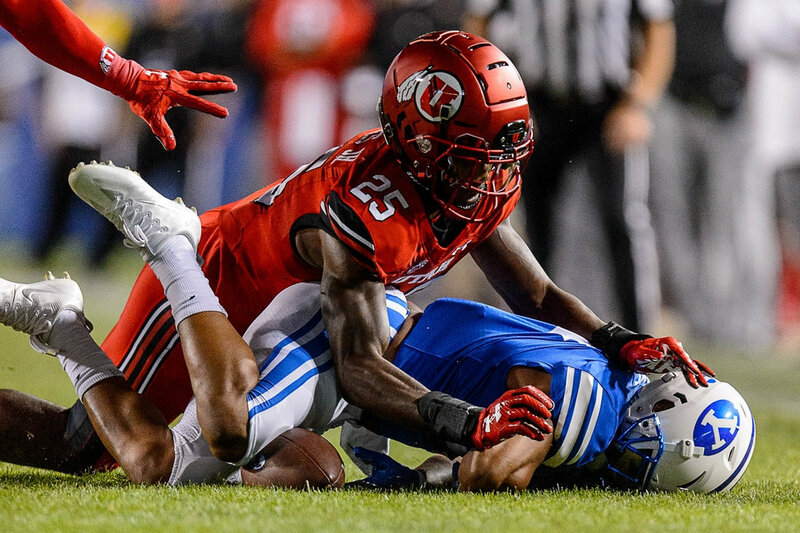 After waiting his turn at Utah, Hughes showed out for the Utes in 2017. Appearing in 11 games at cornerback, he racked up 35 tackles, 2.5 tackles for loss, 2 forced fumbles and a sack. His physical style of play and ability/willingness to make open field tackles makes him an impact player at any spot in the secondary. However, according to TMI’s Sam Webb, Hughes is slated to play nickel and safety for the Wolverines. A spot that he’ll have a very good chance to make an impact at in 2018 as Josh Metellus and Jaylen Kelly-Powell may be his biggest competition. The first player I think of when seeing Barrett’s highlights are former Penn State quarterback and Seattle Seahawks fullback, Michael Robinson. He’s a well built, athletic quarterback that has the ability to breakdown defenses with his arm or legs. He shows good strength and the willingness to run over defenders, if he can’t shake them with his first moves. Something that translates well to his collegiate career as, though he could definitely play quarterback in more of a spread offense, it looks as if he’ll be more of a Swiss Army Knife-type of weapon that lines up in the backfield, out wide, and behind center, to give defenses fits. Barrett was also a standout free safety in high school so it wouldn’t be a surprise to see him get a chance there as well.